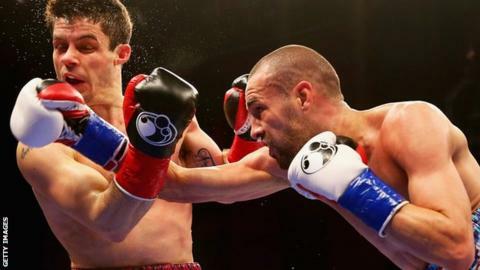 Stephen Smith failed to join brother Liam as a world champion as he lost a unanimous points decision to defending champion Jose Pedraza in their IBF super-featherweight title bout. Liverpudlian Smith, 30, grew into the fight after a shaky start but was knocked down in the ninth round. The three judges scored the bout 117-110 116-111 116-111 in favour of the undefeated Puerto Rican in Connecticut. It was the second defeat for Smith in his 25-fight career. WBO light-middleweight champion Liam was in the United States to support his brother, who had been hoping to become the 13th current British world champion. Boxer Haye on fights: I love it!